Snowbee Prestige Travel Fly Rod 10' #2 - 4 Piece, fitted with lightweight aluminium reel fittings which have a hard anodised silver / gold finish and feature stunning maple burl wood inserts. This beautiful wood displays a range of colours and grain patterns, making each Prestige Travel Fly Rod quite unique and individual. The rich bronze colour of the blanks is complemented by self colour whippings with a subtle, single band of bronze whipping. 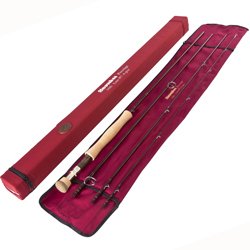 Snowbee Prestige Travel Fly Rod 10' #6 - 4 Piece, fitted with lightweight aluminium reel fittings which have a hard anodised silver / gold finish and feature stunning maple burl wood inserts. This beautiful wood displays a range of colours and grain patterns, making each Prestige Travel Fly Rod quite unique and individual. The rich bronze colour of the blanks is complemented by self colour whippings with a subtle, single band of bronze whipping. Snowbee Prestige G-XS Fly Rod 7ft #2 from the Ultra-lightweight River and Brook Snowbee 'Graphene' Fly Fishing Rod series. Snowbee Prestige G-XS Fly Rod 7ft 6in #1 from the Ultra-lightweight River and Brook Snowbee 'Graphene' Fly Fishing Rod series. Snowbee Prestige G-XS Fly Rod 8ft #4 from the river and stillwater Snowbee 'Graphene' Fly Fishing Rod series. 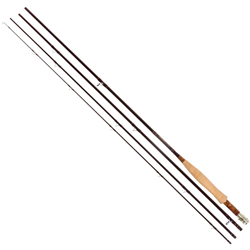 Snowbee Prestige G-XS Fly Rod 9ft #4 from the river and stillwater Snowbee 'Graphene' Fly Fishing Rod series. Snowbee Prestige G-XS Fly Rod 9ft #5 from the river and stillwater Snowbee 'Graphene' Fly Fishing Rod series. 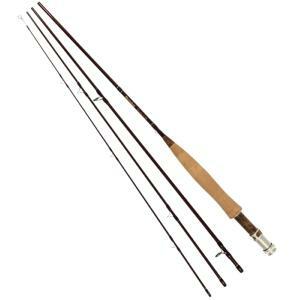 Snowbee Prestige G-XS Fly Rod 9ft #6 from the Stillwater, Reservoir & large river Snowbee 'Graphene' Fly Fishing Rod series. Snowbee Prestige G-XS Fly Rod 9ft 6in #3 from the Lightweight River Dry Fly & Nymph Snowbee 'Graphene' Fly Fishing Rod series. Snowbee Prestige G-XS Fly Rod 9ft 6in #6 from the Stillwater, Reservoir & large river Snowbee 'Graphene' Fly Fishing Rod series. Snowbee Prestige G-XS Fly Rod 10ft #2 from the Lightweight River Dry Fly & Nymph Snowbee 'Graphene' Fly Fishing Rod series. Snowbee Prestige G-XS Fly Rod 10ft #3 from the Lightweight River Dry Fly & Nymph Snowbee 'Graphene' Fly Fishing Rod series. Snowbee Prestige G-XS Fly Rod 10ft #4 from the river and stillwater Snowbee 'Graphene' Fly Fishing Rod series. Snowbee Prestige G-XS Fly Rod 10ft #5 from the river and stillwater Snowbee 'Graphene' Fly Fishing Rod series. 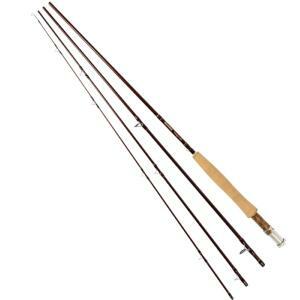 Snowbee Prestige G-XS Fly Rod 10ft #6 from the Stillwater, Reservoir & large river Snowbee 'Graphene' Fly Fishing Rod series. 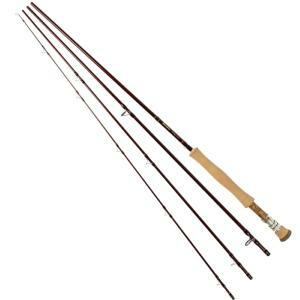 Snowbee Prestige G-XS Fly Rod 10ft #7 from the Stillwater, Reservoir & large river Snowbee 'Graphene' Fly Fishing Rod series. Snowbee Prestige G-XS Fly Rod 11ft #3 from the Lightweight River Dry Fly & Nymph Snowbee 'Graphene' Fly Fishing Rod series.